If you’ve had your smartphone for a while, you may not think it has much value remaining in it; that no one else would have any use for it. That simply isn’t true. Your old cell phone will definitely have value to us, and if you need to get some cash quickly, why not arrange a cell phone loan in Mesa, Arizona at our pawn shop store? Even if your phone is considered a previous generation, it may still have significant value that you can use as collateral in arranging a loan through our pawn shop store. What Phones Do You Accept? 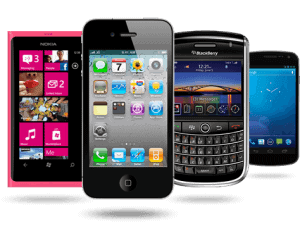 We accept almost any kind of smartphone that you may have laying around, including iPhones, Sprint, Verizon, Nokia, Droid, T-Mobile, AT&T, ZTE, Samsung, Sony, HTC, LG, Motorola, and a whole catalog of other names. The point is that you won’t know how much value your cell phone really has in terms of getting a cash payout, until you bring it into our pawn shop store in Mesa, Arizona and have our expert appraise it for its current market value. You can rest assured that we will try to put the most amount of money in your hands that we possibly can, although of course that will depend on your phone’s condition, the manufacturer, and the market demand for those particular phone types. One very common arrangement we have made with cell phone owners in the past is to finance them with as much money as their phone is currently worth, so they can then use that money toward the purchase of a brand-new smartphone which they will then get years of usage from. In the meantime, the pawn loan that you arrange with us will generally last for a duration of three months, and in that time, you would only be required to pay at least the interest amount on that loan in order to keep it in good standing. Should I Pay it Off at Once or in Steady Increments? However, you would ideally want to pay on both interest and principle, so that you are steadily progressing toward paying off the loan completely. If you don’t have a smartphone with any real value to it, we may still be able to advance you the cash you need for other electronic devices that you have laying around the house, and which you are not getting much use from. These could include desktop PCs, notebooks, laptops, tablets, old flat screen TVs, stereo systems, gaming systems, videos, and even more electronic devices. Whatever kinds of electronic devices you do bring to us to use as collateral, we can always offer you a higher amount, if you bring along any accessories that were included on the original sale. We also ask that you be the sole legal owner of any electronic devices or other valuable assets which you bring to us, so there are no ownership disputes about items being pawned. We aim to be your one-stop shop when it comes to generating cash for your items of value.